Happy FriYay everyone! Time is just flying by and it’s already time to start thinking about school ending, summer break and vacations! Can you believe next weekend is Memorial Day weekend? It totally snuck up on me. If it snuck up on you too, keep reading because this week’s checkIN & checkOUT is full of Memorial Day inspiration! I love this mason jar project. 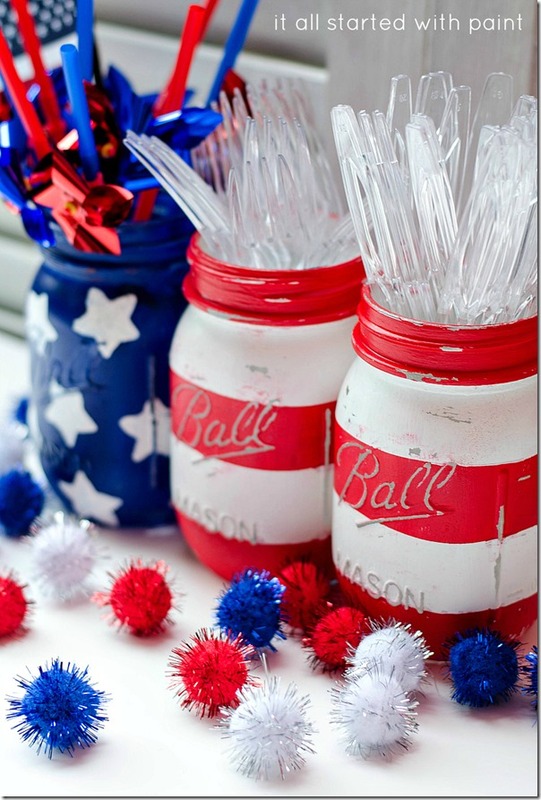 These patriotic jars are easy to make and are perfect for backyard picnics. Fill them with flowers and use them as centerpieces. Place them on your buffet table and use them to hold flatware and straws. Or turn them into bug-fighters by popping in some citronella candles! Check out Linda’s tutorial here, at It All Started With Paint! Hamburgers and hot dogs are staples at backyard picnics, but I love the idea of switching it up and trying something different. These BBQ Ribs with Blackberry Sauce look amazing and I think they’d be great for entertaining! Get Amy’s recipe over on Living Locurto! My mom always makes a broccoli salad that I love, but when I came across this recipe I was intrigued. I love the combination of grapes, bacon, sunflower seeds…there is a lot going on in this salad and it all sounds wonderful. Head over to Renee’s Kitchen Adventures for the recipe! How fun is is this Flag Fruit Dessert? 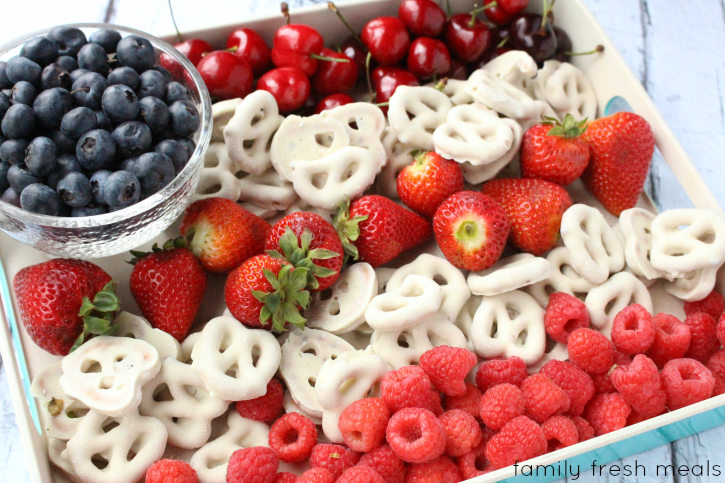 Instead of a heavy, rich dessert, I love the idea of just putting out this festive platter of fruits and chocolate covered pretzels to nibble on. And I just know my family would love it too! Corey’s idea is a winner…get the details over at Family Fresh Meals. 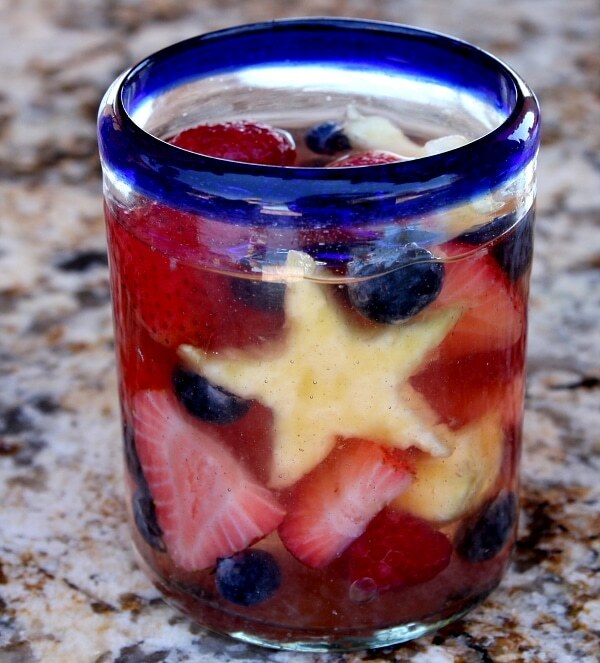 Now for a festive cocktail for your Memorial Day picnic…this Red, White and Blue Sangria is perfect! Lori over at Recipe Girl shares this white sangria recipe and it sounds delicious! And one last thing I want to feature in my Memorial Day Round-Up are these great, free printables from How to Nest for Less. I love entertaining and kicking off the summer, but Memorial Day is really about remembering and thanking all of those that have served and our serving our country. So print out one of Erin’s great designs, pop it in a frame and set it out as part of your party decor! Well I hope you’ve got lots of inspiration now for your backyard parties and picnics next weekend! 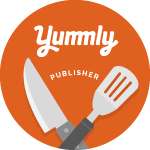 Did you know I collect all of the weekly featured recipes, cocktails, projects and products on my checkIN and checkOUT Pinterest Board? Be sure to follow it to keep track of these ideas! I hope you enjoyed this week’s list, and please come back and checkIN next week to checkOUT some more great finds! And if you try any of these recipes, products or projects, please take a photo and share with me on Instagram with #checkincheckoutfriday! Thanks for sharing this! That food looks so delicious. the blackberry sauce for the ribs sounds really interesting! I will take all of the above! 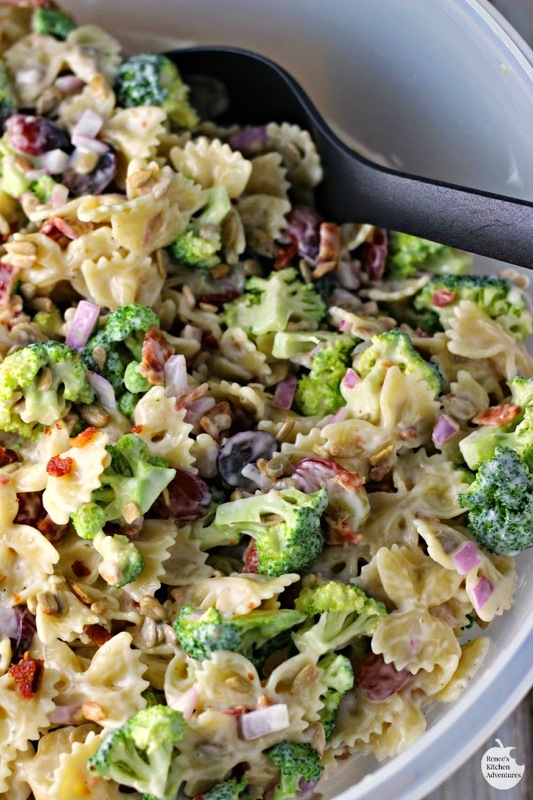 That pasta salad looks DELISH. Those mason jars are adorable! What a beautiful selection! I am so in love with those Mason jars! Oh I must def will be making some of the recipes! Thanks so much for sharing. Those ribs look amazing! Thats a great idea for a American weekend BBQ for Memorial Day of 4th of July! Thanks for the idea! These are so great and fun! I’m going to bookmark for later, thanks Stacy! Those BBQ Ribs with Blueberry sauce look amazing! I will have to try that. LOVE free printables. And that blueberry sauce looks so interesting! These are all great ideas. I especially like the Easy Flag Fruit Dessert. And those ribs look a-ma-zing! Thanks for sharing. I am LOVING the printable! I’ll absolutely be printing this out for my house! Great post! Everything is beautiful! I am in love with those mason jars and the flag fruit dessert. 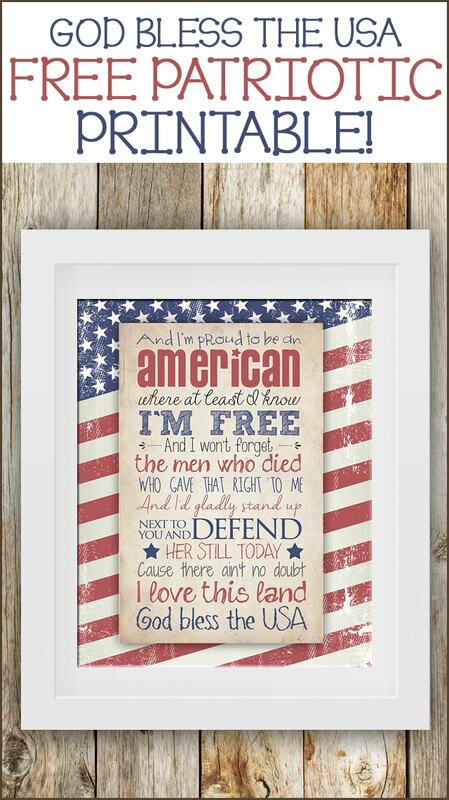 I have to pin this for 4th of July as my family always hosts a pretty big party!